Launched in 2014, Alexa Café was a response to the staggering shortage of women in STEM fields—specifically in leadership roles. The all-girls tech program seeks to bridge the persistent gender gap by emphasizing entrepreneurship and philanthropy, and by highlighting the achievements of girls and women in tech. Today, it is the nation’s leading—and largest—summer technology camp for girls. 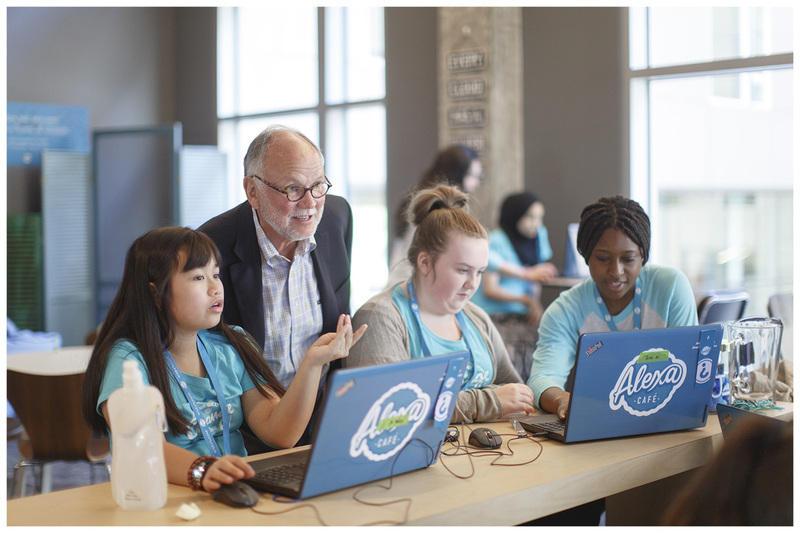 To help bridge the gender gap in STEM fields, retired Starbucks President Howard Behar and Dr. Lynn Behar provided 40 Alexa Café scholarships to girls ages 10-15 in the Tacoma and Highline School Districts. The weeklong program was held at Alexa Café held at UW Seattle in August 2016. During the camp, iD Tech co-founder Alexa Ingram-Cauchi sat down and chatted with several students who were attending. Among them were Jasmine, Jessica, Nardose, Christina, Julia, and Mackenzie, all of whom shared unique stories about their history with technology and how they ended up spending part of their summer at Alexa Café. A recurring theme among several of the girls was that they had little or no formal experience with technology before coming to Alexa Café. Jessica considered herself "more into art and not really into technology," and Julia explained that her family had "more of a medical background," but added that she was "definitely interested in coding courses." Nardose, on the other hand, became interested in technology only recently when she took a computer class, while Mackenzie came from a technologically inclined family that inspired her to pursue STEM. Whether the girls came to discover something brand new or build upon existing interests, there was a unified sense of excitement to be learning alongside peers in a fresh, welcoming setting. When asked about the Alexa Café environment, Jasmine replied, "I never thought I would make friends this fast." Jessica added that "you can be yourself here," and Nardose, Mackenzie, Christina, and Julia all described the setting as "comfortable." So, what is it about Alexa Café that fosters easy friendships and pressure-free collaboration? For starters, the warm, café-like decor removes any semblance of "school," immediately putting students at ease. It's less like a lab and more like they're hanging out at their favorite neighborhood coffee shop with a group of friends. Creative ideas take shape naturally around high-top tables and in clusters of cozy "moon chairs." Girls tap into the power of coding, video game design, film production, engineering, and web design, bringing to life real-world projects that make a positive impact. For many girls, the emphasis on philanthropy, leadership, and entrepreneurship is what makes the technology pop. 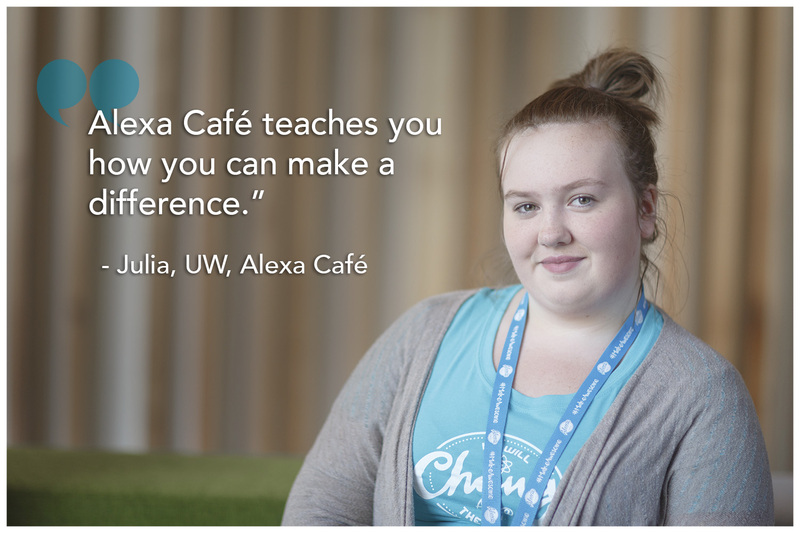 Julia put it perfectly when she said, "Alexa Café changed my view about how girls can work together to make a difference with tech." 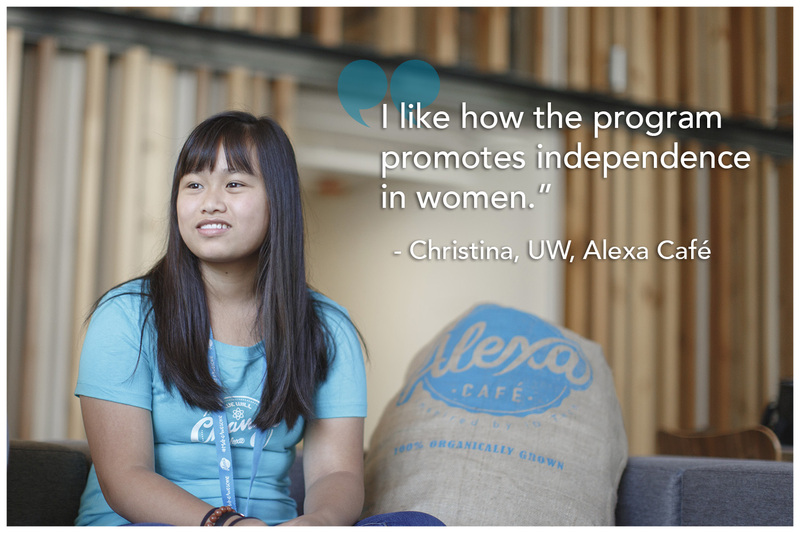 According to Christina, the instructors at Alexa Café are "really approachable and you can ask them anything.” She added that when she first started coding at the beginning the week, she "looked at the screen and thought ‘I have no idea what this is,’" but her instructor helped her understand, empowering her and fostering her independence. Largely due to our stellar summer staff, Alexa Café has become the nation’s leading all-girls tech camp. Our instructors serve as mentors, motivators, and friends, spreading relevant industry experience and infectious optimism to girls across the country. 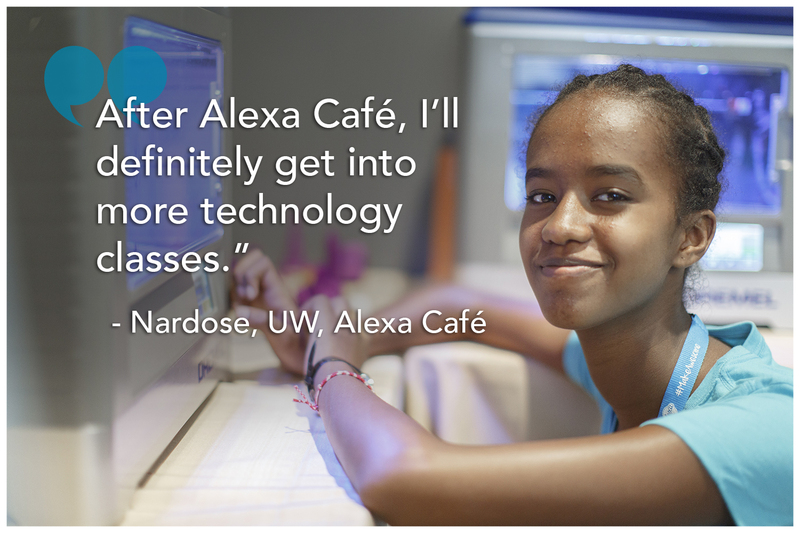 Learn more about how our Alexa Café staff inspires girls to dream BIG. Alexa Café's unique aesthetic and world-class instructors bring out the best in girls, sparking their passion for technology and providing the tools needed to create innovative and meaningful projects. Some students, like Mackenzie, are already planning ahead for ambitious STEM careers—in her case, aerospace engineering. She was inspired by the Autodesk 123D Design course and dreams of using 3D printing technology to create sustainable airplane parts. Nardose plans to expand her skillset by enrolling for more technology courses in the future, and Jessica and Jasmine both wish to pass on their newfound knowledge to friends and family members. At iD Tech, we believe that STEM is fundamental for every girl—just like reading, writing, and history. Whether your daughter is a total beginner or a tech guru, she'll benefit from the encouraging, close-knit Alexa Café experience.